Help us build a bakery that will train and employ young adults with disabilities! We are currently raising funds to build a physical bakery. The space will serve as a training and employment site. Internships will be run throughout the year through our partnership with the Va DOE serving approximately 50 young adults with developmental disabilities annually. We will also hold community educational events and workshops in the space that are open to all. **The total campaign to build our space is to raise $200,000. This ask on GoFundMe is to the general community. However, Corporate Sponsorship Packages are also available - please contact Elizabeth. Our Tablespoons Students participate in weekly classes under professional bakers, with the goal of empowering them through authentic training experiences in the culinary arts and in entrepreneurship. The students do the whole process – inventory, ordering supplies, baking, selling, and catering. 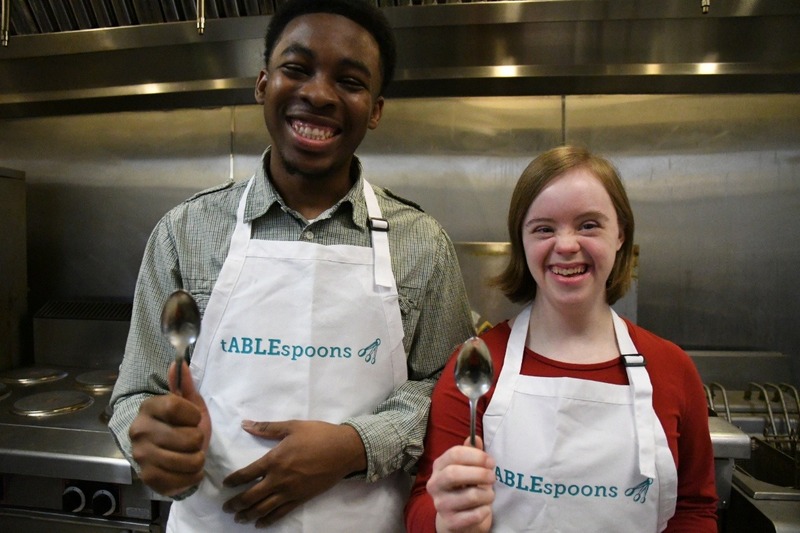 They are exposed to many critical work and independent living skills like financial literacy, teamwork, customer service, kitchen safety, and measurements, all while making friends and having fun. The Next Move Program provides educational internships to young adults with disabilities as they transition out of high school into the working world. Each day, we work to combat the 70% unemployment rate for this population in our state. Tablespoons Baking is a program that we launched in June of 2017 in partnership with our friend and baker, Britt Falabella, of Sugar Britches Sweets and Treats. Independence Golf Club allows us to use their pastry kitchen. In the fall of 2018, we started a partnership with the Va DOE and began offering our program in school system technical centers to this population. Most Saturdays, our students sell their famous Oatmeal Cream Pies and Unicorn Cookies at The South of the James Farmer’s Market in Forest Hill Park – selling out each time! Our students also sell wholesale orders to area corporations, in addition to filling corporate client gifts and participating in catering jobs out in the community.